Fitzgerald first mentions the Maxixe in his short story “Benedition,” which appeared in his 1920 short story collection Flappers and Philosophers. “I want Kieth’s sister to show us what the shimmy is,” demanded one young man with a broad grin. Excerpt From: F. Scott Fitzgerald. “Flappers and Philosophers.” iBooks. “On Thursday afternoon Gloria and Anthony had tea together in the grill room at the Plaza. Her fur-trimmed suit was gray—”because with gray you have to wear a lot of paint,” she explained—and a small toque sat rakishly on her head, allowing yellow ripples of hair to wave out in jaunty glory. In the higher light it seemed to Anthony that her personality was infinitely softer—she seemed so young, scarcely eighteen; her form under the tight sheath, known then as a hobble-skirt, was amazingly supple and slender, and her hands, neither “artistic” nor stubby, were small as a child’s hands should be. 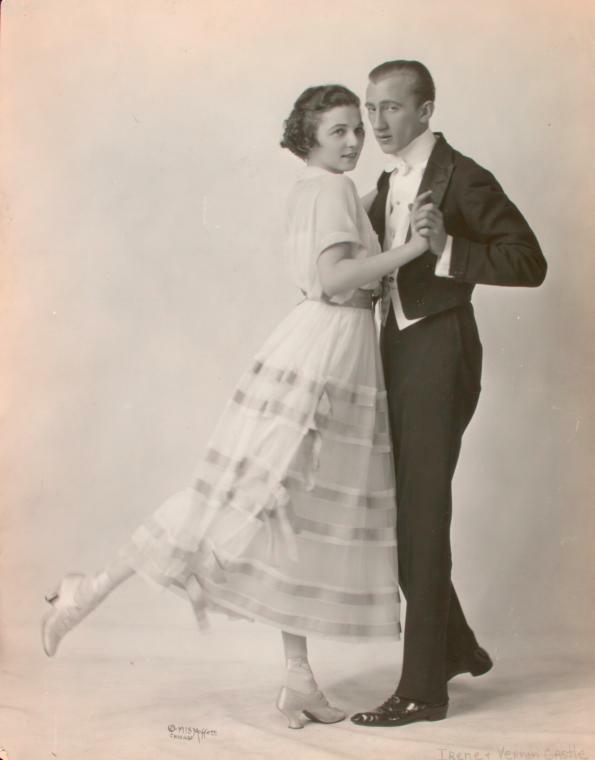 Thompson notes the interesting early dates ascribed to several dances more famously associated with the later dance crazes, including the Castle Walk and the Boston, in addition to the Maxixe.